Flo Hernandez was born and raised in Dallas, Texas to proud Mexican- American parents. His interest in comedy started at the ripe age of 12 years old and was considered the class clown. Since then he has come a long way working professionally headlining his own events. Flo can be found performing at clubs and special events across the country. 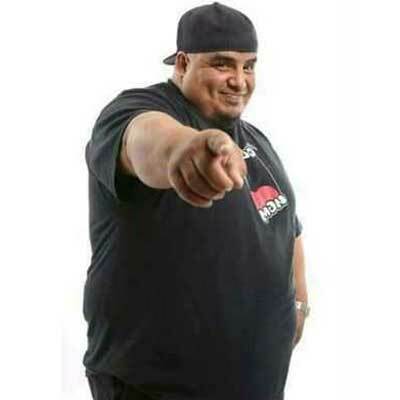 His comedic style is delivered with high energy and in a fast-paced style that hits on all cultural and ethnic backgrounds as he continues to gain a multi-cultural fan base. Flo’s first national TV appearance was in 2007 on Bill Bellamy’s Who’s Got Jokes. He was crowned the funniest comic in Texas in 2010. In 2011, he was featured in Chris Spencer’s The Minority Report on Showtime and America’s Got Talent. Earlier this year, he taped a comedy special Entrenos for HBO/HBO Latino. You can check out some of his work on YouTube.